Europe is a popular market for potential TEFL teachers, however, it can be daunting because most positions for non-EU teachers are secured locally on the ground after you’ve arrived in the country. While common practice, it doesn’t offer the same peace of mind as securing a position in advance, when you know that you have a job waiting for you. The good news is that if you are set on being in Europe, and prefer to have a job secured before heading overseas there are some great options available in a variety of top job markets. 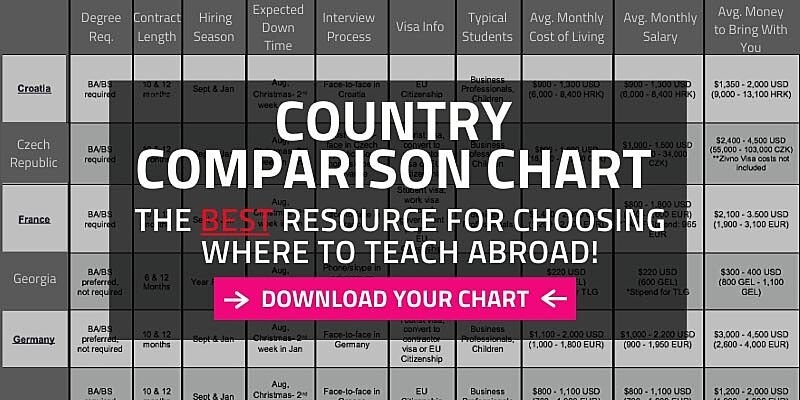 Schools in the following countries hire in advance for Europe, either through a government program, or by direct recruiting through job boards & other channels. Russia – Teachers who want to teach English in Russia can secure a position by applying directly to schools or with select recruiters in advance. There's a high demand for teachers in Russia, so teachers can find work year round. Turkey – English Teachers in Turkey can secure a position in advance of arriving. 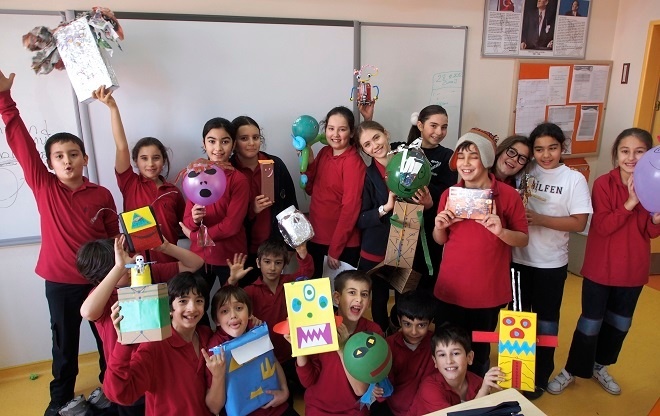 Interested teachers can apply directly to schools, and some recruiters for positions in Turkey. Like Russia, the demand for ESL teachers is much higher than the amount arriving so it is possible to secure a position all year round. Primary job markets include major cities like Istanbul & Ankara. If you seek a Mediterranean vibe complete with beautiful beaches, fantatistic Greco-Roman ruins & awesome cuisine, Turkey is hard to beat a location to live and teach. Poland – Teachers can secure a position in advance in Poland through job boards, or by applying directly to schools in Poland. English teachers are typically hired to start teaching in September or January. 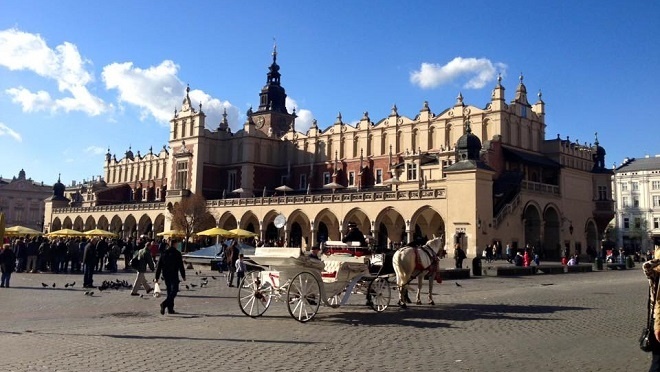 Learn more about teaching English in Poland. Hungary – English teachers in Hungary typically secure a position through the Central European Teaching Program, which only hires in advance. This program places teachers directly in positions throughout Hungary. 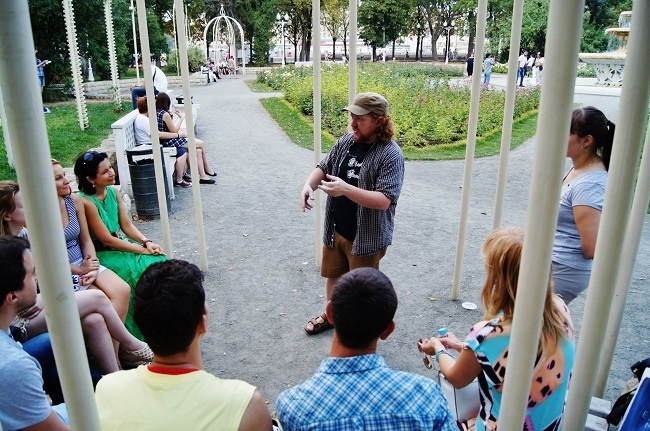 Learn more about teaching English in Hungary. Spain – There are several government programs that hire in advance for teaching English in Spain, include the Cultural Ambassadors program, BEDA Madrid, and CAPS. While these programs give you less flexibility with your location (and pay is often lower than in the private sector), they are a great option if you want to secure a position teaching in Spain in advance. Please note that most of these programs seek applicants with a working knowledge of Spanish language. 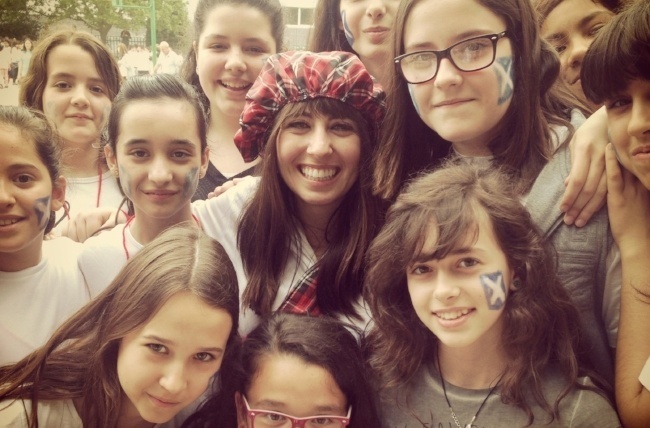 Learn more about teaching English in Spain. France – The Teaching Assistant Program in France is very competitive, but is the best option for Americans teachers who want to work in France. Some teachers may also get a job in advance teaching in some summer camps. Learn more about teaching English in France. A native Midwesterner, Havvah bought a one-way ticket to China in 2007 and ended up teaching English in Kunming for 3 years. In addition to helping hundreds of ITA students gain employment abroad each year as a senior representative of the Student Affairs Department, Havvah is an active member of ITA's Alumni & Charity departments.